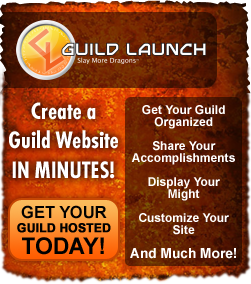 A brand-new Saga Server is fast approaching! A Saga Server is a brand new limited-time server where you create a new character, complete milestones, earn exclusive loot, and experience the thrill of starting anew! WHAT IS THE SAGA OF BLOOD? 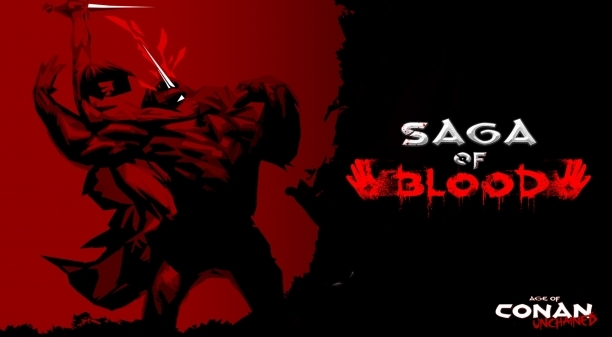 Saga of Blood is a new limited-time server running on a PvP ruleset. You create a new character on this server, and play through a special “Saga Quest” as you progress. Completing objectives in this quest awards exclusive cosmetics and high-level PvP gear! Additionally, Saga of Blood introduces weekly level caps and leaderboards. More on that below! As with Saga of Zath, there is a new Saga-exclusive Hoard you may purchase on Saga of Blood, featuring tradable items that you can bring back to the main servers with you. When Saga of Blood closes, your character will be transferred to Fury with their inventory fully intact. HOW CAN I PLAY ON SAGA OF BLOOD? It’s easy - all you have to do is click a button! From the character selection screen, look for the option on the right to “Create Saga Character”. You won’t need an empty character slot to play on Saga of Blood, either. Just create a character and play right away! You cannot transfer a character nor use a character boost on Saga of Blood; everyone starts fresh with nothing but rags and broken oars to their name. This also means you don’t have access to pre-existing account claims nor tokens when starting on Saga of Blood. If you delete your Saga Character, we cannot restore them! Each tier also requires you to defeat several players in your level range. Relating to the above milestones, Saga of Blood will have tiered level caps that expand over time. When you first start out on Saga of Blood, your maximum level will be capped at Level 18 for the first week of the server, and then will increase to Level 30 the following week. Every week after, the level cap will increase by 10, allowing you to progress the Saga Quest! Character progression is greatly accelerated on Saga of Blood, and with the recent changes to gaining XP from PvP kills, you should have no problem gaining levels. If you need a boost, they’ll be available in the item shop, too! Compete with rival heroes as you rise through the ranks and level caps! Leaderboards track the top 100 players across various categories, and are archived and reset after each “season” as level caps increase. Leaderboards will be visible once the server is live. Similar to Saga of Zath, there is a global community goal and reward in Saga of Blood. As players spill each others’ blood in PvP combat, we’ll keep track of the kills made and the whole server gets a cosmetic reward once the goal is met. A special Hoard is available exclusively to your character on Saga of Blood. Remember, your Saga character’s inventory carries over to Fury when the Saga ends, so you can show off or even trade your goods with the community. This Saga is all about crushing your enemies. 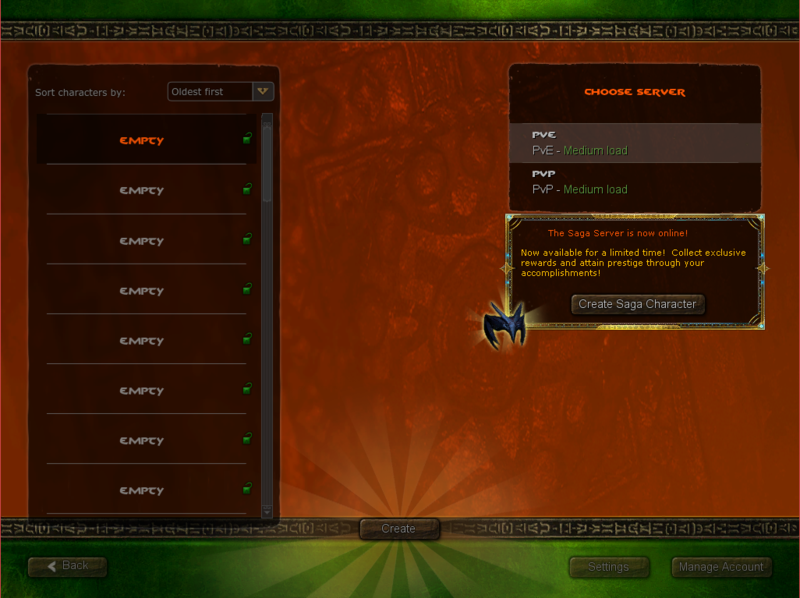 Portents and the Raid Finder are disabled entirely on Saga of Blood. Instead, the PvP Festival will run every weekend on Saga of Blood! Upon the conclusion of Saga of Blood, we’re inviting all the top contenders on the leaderboards to a PvP Duel tournament to prove your worth as the all-time best of your class. The top 4 player killers for each class will qualify for a chance to win an exclusive Cloak, Title, and other fabulous prizes for your class. More details to come! Thanks for reading this overview! We can’t thank you enough for helping make Saga of Zath a success, and for all your feedback and suggestions on what we can do for future installments. We’re by no means done with the Saga concept, and would love to hear what you think of this PvP-focused Saga, as well as your suggestions and ideas on how we can improve the format or for the future. Be sure to leave your thoughts on the forums!